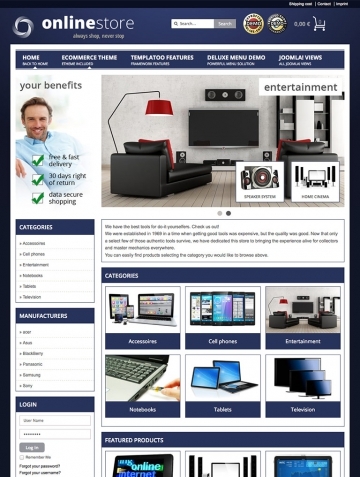 Premium Joomla 3 Template "Showroom"
The "yag Showroom VT" is a in the main colors blue/white/grey kept Virtuemart Template. 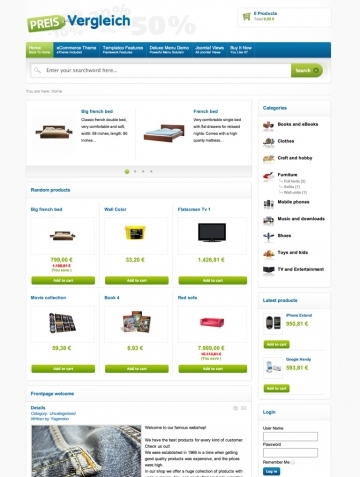 It designs the appearance of your Virtuemart as well as the Joomla! itself. 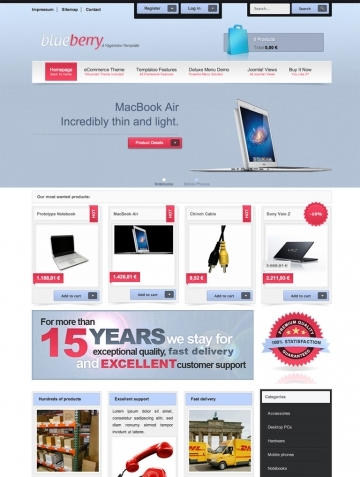 Because of its neutral Design it suits for the sale of all product types, but especially for technology. 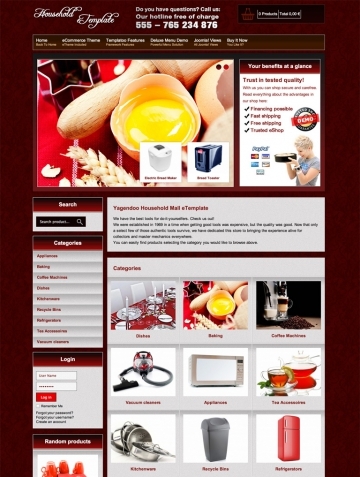 You can find all features of the Virtuemart Template "yag Showroom VT" below on this product page. Get a first impression of the product before getting started. 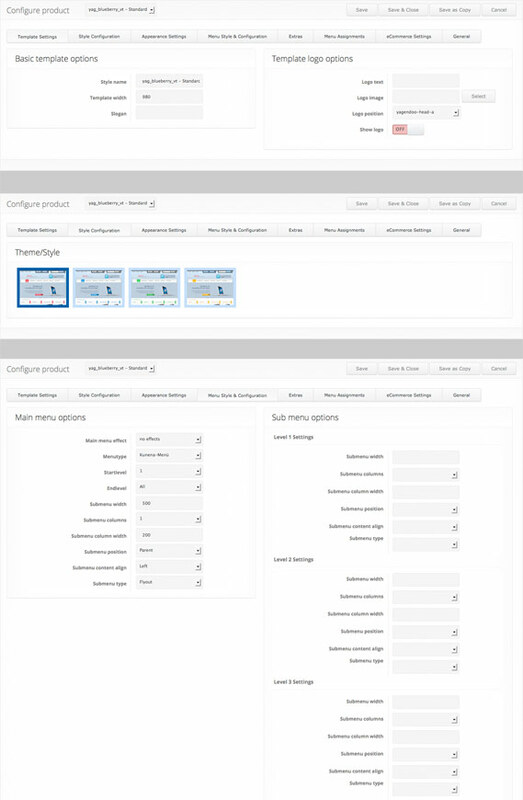 The following screenshots will show you a few of the settings and design variations of the product. 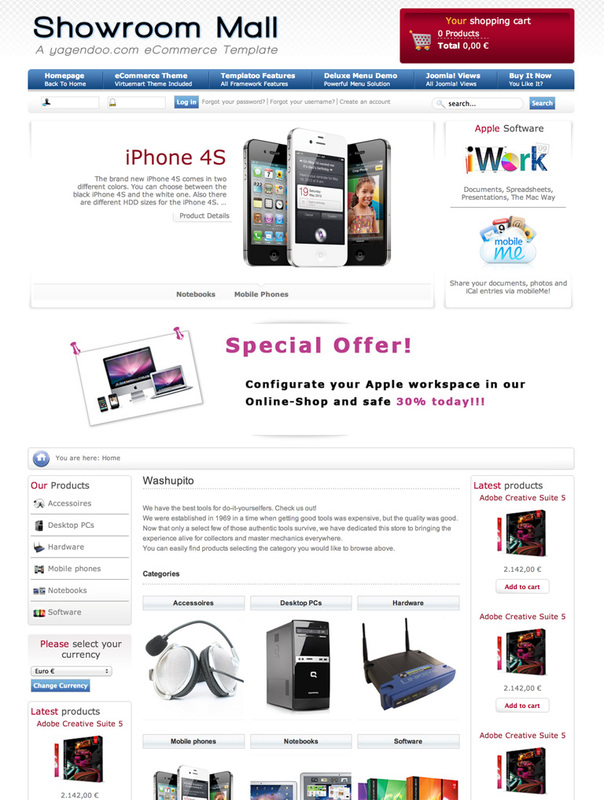 Optimized for modern web browsers such as Google Chrome, Firefox, Safari, Opera and Internet Explorer 9 and up. Source code optimized for search engines improves the processing through search engines and their findability. A well-structured source code and architecture allow fast loading of contents. Search engines love it! Useable on multilingual websites. All texts and contents can be displayed in all languages. 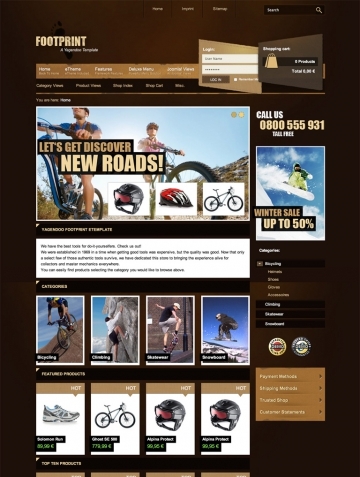 The HTML5- & CSS3 source code is built semantically, W3C-valid, and complies with the most modern website standards. 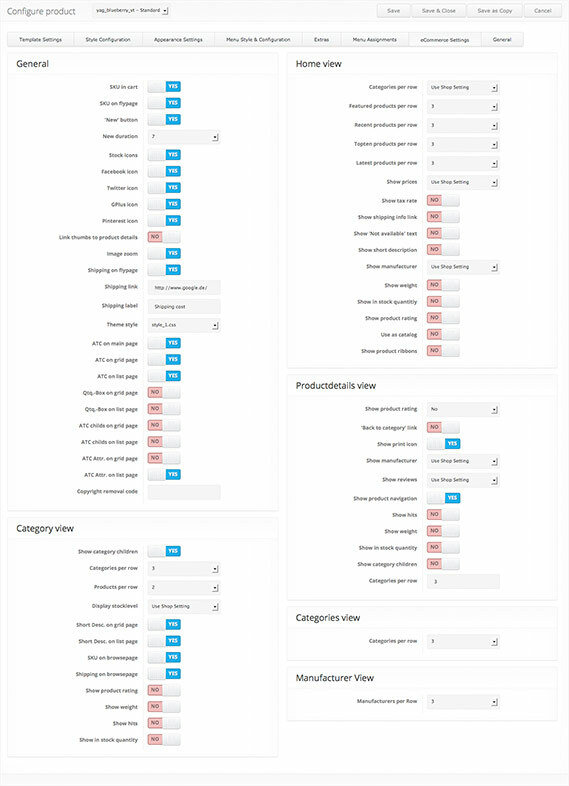 Based on Bootstrap & jQuery for a good compatibility and the accurate depiction on all screen sizes. 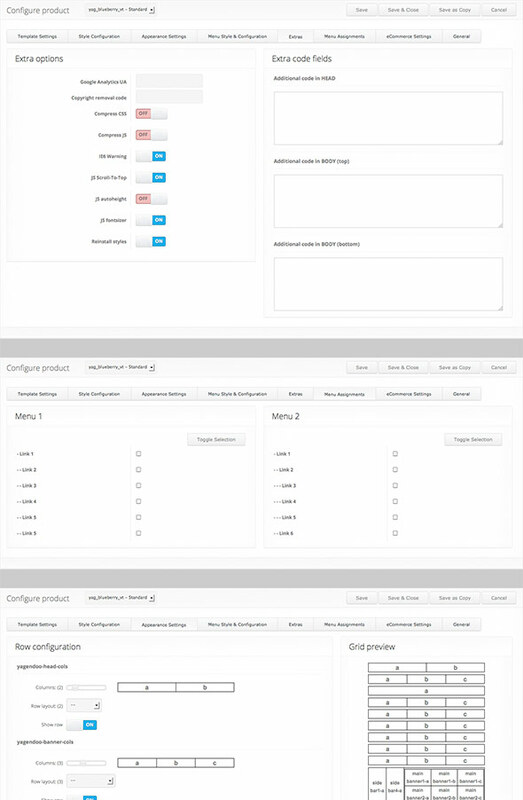 The installation of the Yagendoo products is simple. They are ready to use in just a few clicks. Our biggest concern is your satisfaction and that you will have a great experience with the products you have purchased from us. After all, we want you to stay a part of the Yagendoo Community. 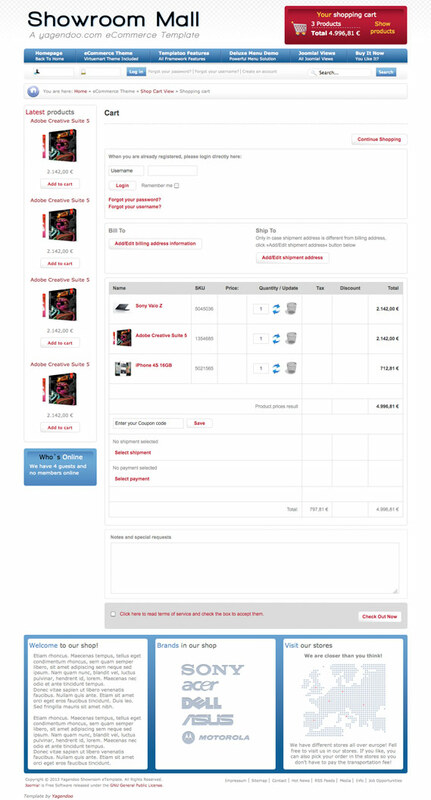 This is why you will also receive detailed documentation and technical support with every purchased product. You receive access to our knowledge base consisting of text and video manuals so you can successfully use your products. We are there when you need us. Our experienced team will help you via our support forum whenever you are in need of technical help. Super Template!! Geschmackvolles sehr professionelles Design. Die Installation war kinderleicht und wenn Yagendoo kompetenten Support erwähnt, dann kann ich das nur bestätigen. Klasse!! sieht super aus - das beste Themenpaket das ich bis jetzt im Internet gefunden habe. Kleines Manko, beim entzippen der Dateien gibt es Probleme, aber sonst super - gleich wie das Team selbst. 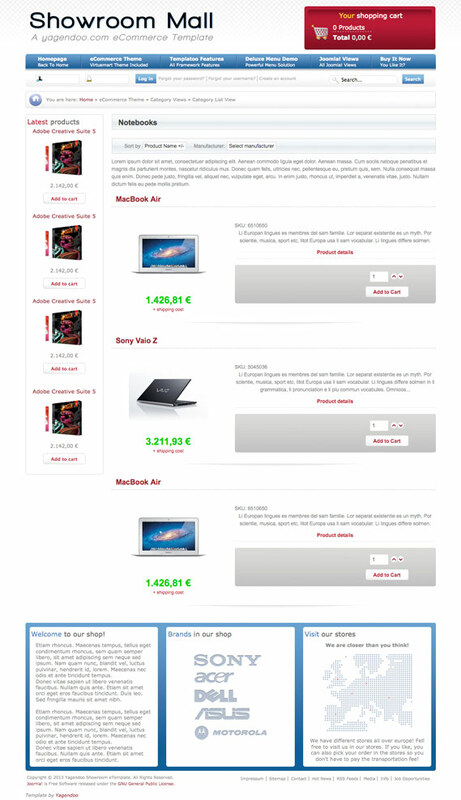 So macht Einkaufen Spass. Be a part of the Yagendoo Community with over 25.000 members. 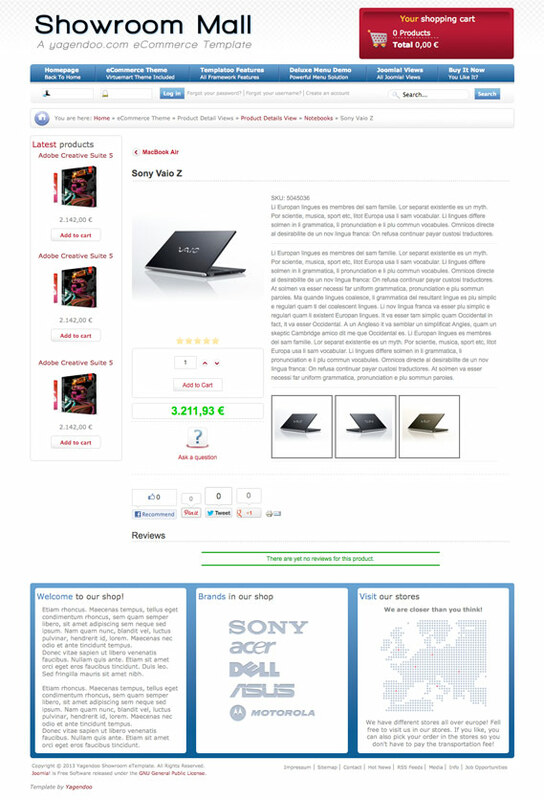 Buy this product individually or become a member of the Yagendoo Joomla! 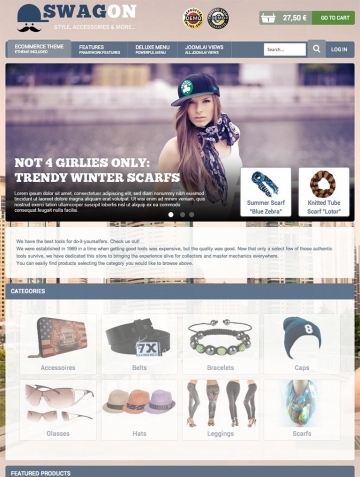 Club to download all the products and to benefit from many additional advantages. Your purchase is absolutely risk-free! We have 100% trust in the quality of our products. That is why you will receive your money back on request withtin the first 30 days after a new purchase. You will find further useful downloads for your Joomla! 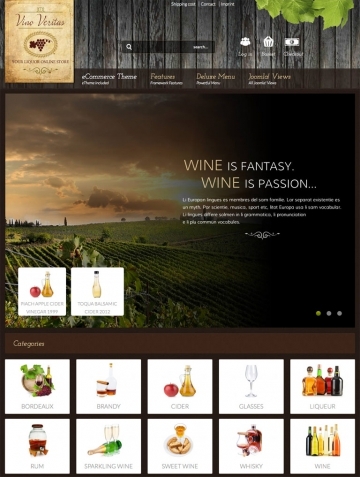 website in our online shop. 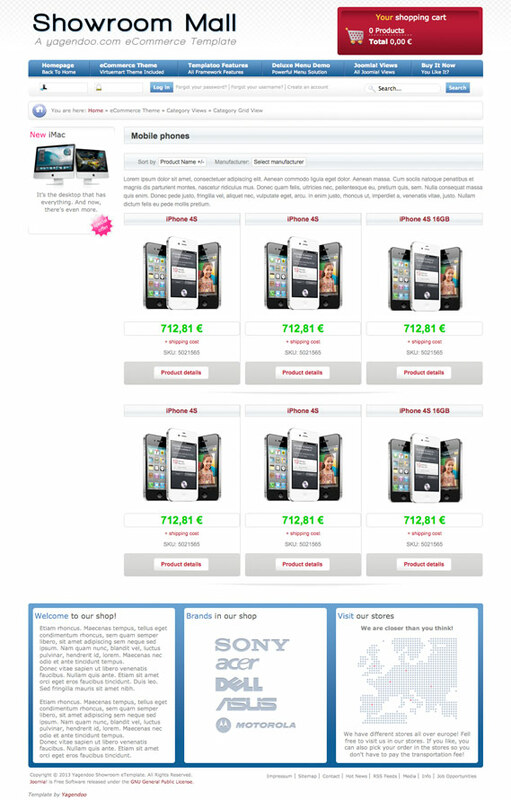 You can buy every product individually or become a member of the Yagendoo Joomla! Club to receive all Joomla! downloads.